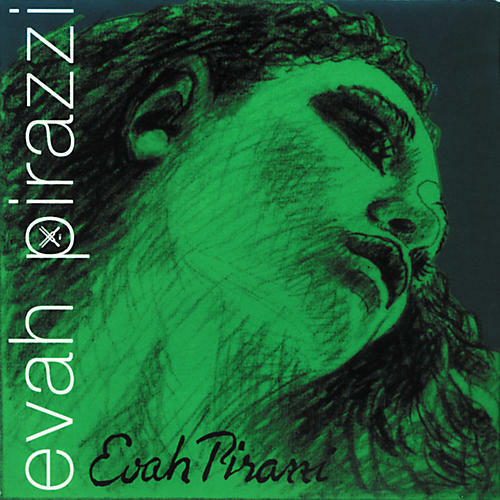 Pirastro's Evah Pirazzi 1/2 - 3/4 Size Cello Strings produce a warm tone with good volume. From pianissimo to fortissimo the response is immediate and the playability is outstanding. Due to the small diameter of the strings the response is fast. The Evah Pirazzi cello set is suitable for soloists, orchestral and chamber musicians. The A & D strings have a steel core wound with chrome steel and a warm core sound that is combined with an impressive brilliance. The smooth transition from the D to G string is unmatched. The G & C strings: have a newly designed rope core wound with tungsten. The G string continues and deepens the radiant sound picture of the D string and the Evah Pirazzi set is rounded off with the powerful and clear sounding C string. By working closely with professional musicians, Evah Pirazzi strings have been developed to function extremely well for soloists looking for a string with a full tone, but with a noticeable edge. Computer-aided manufacturing techniques with strict quality control ensure they will perform at the highest level. Pirasto strings set an industry standard. The individual construction of the gauges has a big influence on the sound: soft gauge is the warmest sounding string!